Deer tend to shed their antlers (or cast their antlers) every new year. This creates the space for growth of a new set. While the shedding periods lasts for around 2-3 weeks, the regrowth period of the same will take up theentire summer. After which the cycle begins all over again. Usually, the deer tend to shed their antlers between the months of January and April - after the end of the ﻿﻿rutting season. However, it’s important to note that this activity varies from deer to deer and is dependent on some factors - like the animal’s age and the latitude at which it resides. 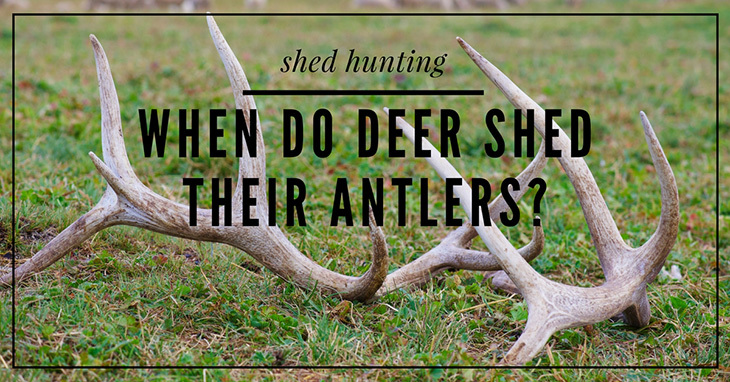 Below, we'll “shed” some light on the when, how and why the deer tend to shed their antlers to help you understand this process better. The antler cycle - right from growth, mineralization, and dropping off - is hugely controlled by the hormones and regulated by photoperiods (amount of light available per day). In brief, the antlers will usually grow in the months of spring and summer and mineralize in August-September owing to the increased testosterone levels. Just a simple reminder: the testosterone levels start rising in July, reach the peak between late October and early November, lower around the end of December, and maintain their reduced levels throughout the following July. 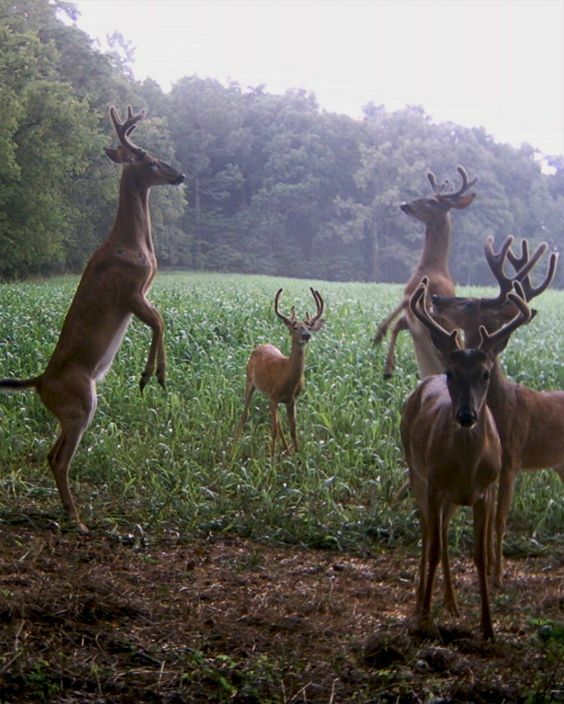 Photoperiod directs the testosterone levels in bucks. And this directly affects the antler casting. When the daylight decreases and testosterone levels rise - antlers mineralize and drop off their velvet. When the daylight increases and testosterone levels lower - antlers fall off. According to Dr. George Bubenik - the renowned antler expert - the testosterone levels responsible for antler shedding seem to be pretty close to the levels that cause velvet shedding. The number of deer that drop their antlers every year and when exactly they do it are questions not easily answered. That’s simply because many factors team up to affect the WHEN of dropping antlers by these animals. Ideally, these factors affect the testosterone levels in the bucks which then affect the antler casting. From what we have stated earlier, it’s evident that photoperiod hugely impacts the testosterone levels and thus the timing of antler shedding. An increase in daylight causes the hormone levels to go down and, therefore, themineralization of the antlers. The flipside holds true: a decrease in daylight causes the hormone levels to shot up and, therefore, the casting of antlers. Nutrition also plays a key role in the dropping off of the antlers in deer. Well-fed bucks, in good physical conditions, tend to retain their antlers longer than the nutritionally stressed ones. Widespread early dropping off of antlers can act as a good pointer of a nutritionally stressed herd. 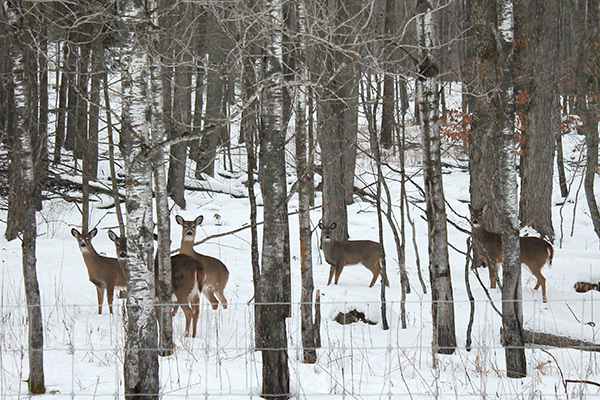 This could be due to overpopulation of a given habitat (more deer than what the habitat can support). It can also be an annual event resulting from hunting countable antlerless deer. Or even a single even arising from mass crop failure, extreme/prolonged cold, prolonged flooding, among other environmental variables. Yes, injuries too can affect the hormone level.How they do this? As you all know, the testes are the primary producers of testosterones. Thus, an injury to them translates to reduced hormone levels. The same case applied for injuries on the buck’s body. Bucks bearing injuries don’t drop off their antlers immediately. Depending on how severe the injury is, these animals may cast their antlers earlier than normal. The famous author, Charlie Alsheimer, stated in 2009 that one of the captive bucks he held shed his antlers in the first week of March for 7 of the 8 years while he was 3½ - 10½ years old. He noted a difference in this routine shedding when his buck got injured in a fight. His antlers came off on Christmas day - way too earlier than expected. The significant impact of dominance status on the testosterone cannot go unmentioned. In the northern regions, for instance, dominant bucks will always cast their antlers earlier than the younger smaller bucks. This can be attributed to the nutritional status as not all the older bucks feed well during the breeding season. They skip many meals during this season. Furthermore, bucks that rut hard during this season might be weak after the rut phase is over. This is possible, even when the animals have access to abundant foliage. It could also arise from the fact that the younger bucks do not experience the dramatic decreases in the level of testosterones. The higher number of does could translate to later winter breeding. And this maintains the testosterone levels at higher levels, for a longer period. Needless to say, this leads to a late casting of antlers. While still on it, it’s important to note that high doe numbers could also lead to overpopulation in a given habitat and cause poor nutrition for the animals. As we discussed earlier, poor nutrition would mean early shedding. 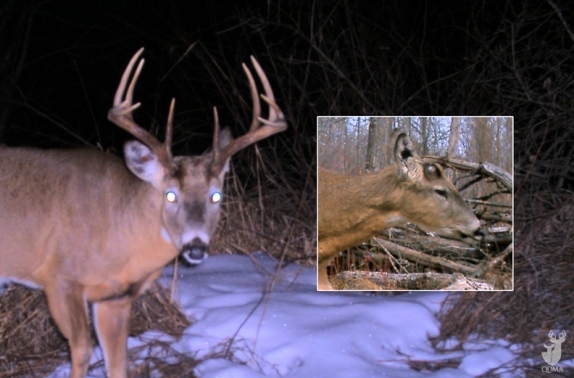 One more factor to keep in mind in regards to antler shedding in bucks: fighting. 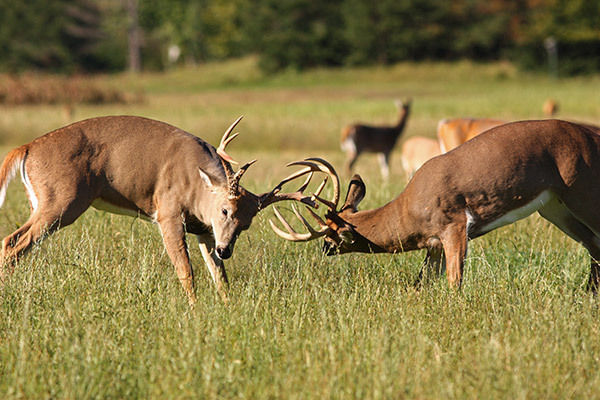 Dr. Bubenik is quoted saying that frequent fights can extend elevated levels of testosterone and lead to unusually deep mineralization of the antler base (pedicle). The deep mineralization will then cause delays in antler casting for either or both of the antlers. Again, the question of why the antler shedding activity varies from buck to buck isn’t simple to answer. Some of these animals will do it quite early while others will wait till it’s late and then cast their antlers. But one thing is for sure - the animals shed their antlers following a decrease in the testosterone levels after the rut period. Decrease in testosterone levels causes weakening of the tissue and bone at the base of the antler(pedicle) to a point where they’ll eventually fall off. The shedding process can be pretty quick, given that the antlers can weaken and fall off within a period of 24-48 hours. Healthier bucks will shed their antlers later while weaker one will do it earlier. Injuries also lead to early shedding. Luckily for the deer, the entire process does not subject them to any form of discomfort. Interestingly post, but why the elk antler? You testing us??? ?